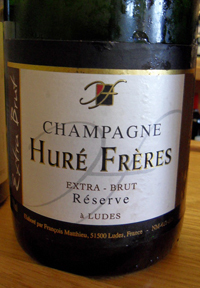 N.V. Hure Freres, Extra Brut Reserve Champagne, a Ludes, France. This hand-crafted Champagne is a serve and lean Extra Brut with stunning definition and lift, with wonderful sense of style and character driven by the high percentage of Pinot Meunier, about 45% along with Pinot Noir and some Chardonnay to fill the wine out and give density. The Here Freres Extra Brut Reserve starts with bright citrus, energy filled mousse that feels alive, but refined and opens up with hints of brioche, hazelnuts, lemon and unripe apples along with hints of mineral, melon, fig and yeasty essence. This clear and vivid bubbly is a beautifully judged sparkler, but being so austere and dry with make it more for the enthusiast, the wine geek and the ultra dedicated Champagne drink rather than the more mainstream crowd, though it did win some fans at a recent tasting that might not have otherwise even bothered to even buy Champagne even on special occasions. This wine would be great with oysters and meals, it is a food wine and less a celebration bottle, though that said I would like it anytime and I’m the serious Champagne nuts would too. This lively champers has unique qualities, plenty of complexity and with air fills out and becomes most pleasing and compelling, I will certainly be adding a few bottles to my personal stash. 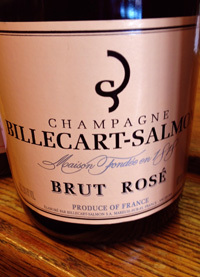 N.V. Billecart-Salmon, Brut Rose, Champagne, France. This latest edition of Billy Rose is delicate, lean and oh so delightful, this is one of the finest lots of this classic bubbly in my memory, it shows deft blending, remarkable clarity and detail with a refined mousse. There are better wines out there, some that might be cheaper, but it is hard not to fall head over heels for this joyous and elegant Champagne, this edition of their fabled Rose really hits the spot with a dreamy pale hue, tight bubbles, lifting acidity, mineral tones, slight yeasty brioche and heavenly hints of strawberry, red berry and tangerine essences along with lemon, apple skin and bread dough. This crisp and focus sparkler really keeps your interest from first sip to the painful moment when you have to toss the bottle into the recycling bin, Billecart-Salmon has raised their game here and the whole lineup of Champagne from this historic house reflect a renewed commitment and puts talent on display at each level, if you see any of their 2002 vintage cuvee(s) buy them, forget the price, they are masterpieces, but in the meantime the Brut Rose non-vintage will not disappoint, and it seems in good supply both at the restaurant and retail level, even though it is a rare item, so if you are looking for that perfect romantic wine this new years, this wouldn’t be a bad choice at all, it is a subtle and graceful Champers, no question. 2012 Scarbolo, Pinot Grigio, Friuli, Italy. 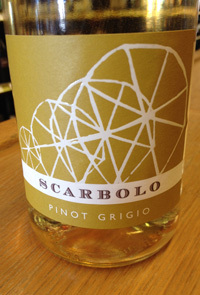 This unique and light Pinot Grigio is beautifully golden in color, thanks to an extra bit of skin contact, making for a cool and crisp white that has a sunny hue and vibrant character with good acidity and a hint of savory spice. 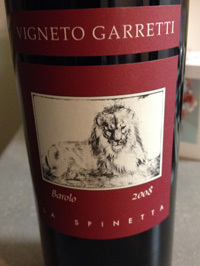 This wine was totally new to me, and while not an “orange” wine, it is a fun example of this varietal and shows the Italian’s are not afraid to explore and go their own way, in fact Italy is a hot bed of intriguing new avenues in winemaking, some from the ancient past and some ultra modern. 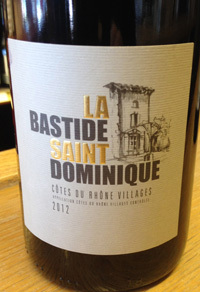 This wine though is pretty easy and simple with fresh green apple, lemon/lime and pear fruits, a hint of mineral with juicy flavors that are crisp zesty, there is nothing remarkable or mind-blowing here, but this is fun and charming bistro/picnic style wine that does everything it should, this is a fine and sold effort with a bit of playfulness and sunshine. This Scarbolo 2012 should be drunk over the next year or so, it is a great alternative to the mass produced generic Pint Grigios and the color is pretty cool. 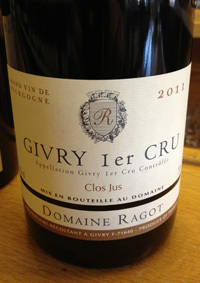 2011 Domaine Ragot, Givry 1er “Clos Jus” Red Burgundy, France. 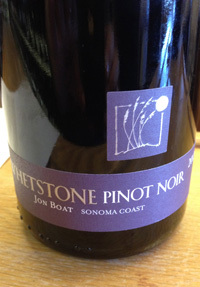 This pretty and well crafted Pinot Noir from Domaine Ragot shows good ripe flavors, balancing acidity, earth, spice and mineral tones, making for a poised Burgundy that will excite the purists and interest the novice. A small artisan estate, Domaine Ragot is a new discovery from Charles Neal Imports and is worth giving a look for if you want a well crafted wine at a fair price. The 2011 Givry Premier Cru Clos Jus starts with chalky mineral, dried currants, plum and cranberry, but opens to reveal a solid cherry cherry core of fruit, a hint of smoke, wild strawberry, wet earth, black tea and a herbal/floral tanginess. This bright and austere Burgundy is still firm and focused, and should be given a bit more time to fully fill out, drink 2014 to 2018. 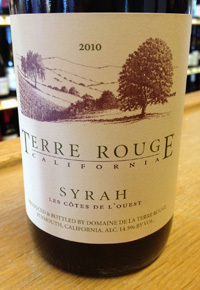 I’ve had this wine on four occasions and even poured it for huge crowd of people, it was much more a hit than I would have imagined, proving I can be a bit too critical at times, this is a fine and enjoyable effort that shows that subtle poise can be rewarding, this wine also perks up with food, salmon and or duck would be great pairing choices, this wine would be a savvy choice on the wine list no question.